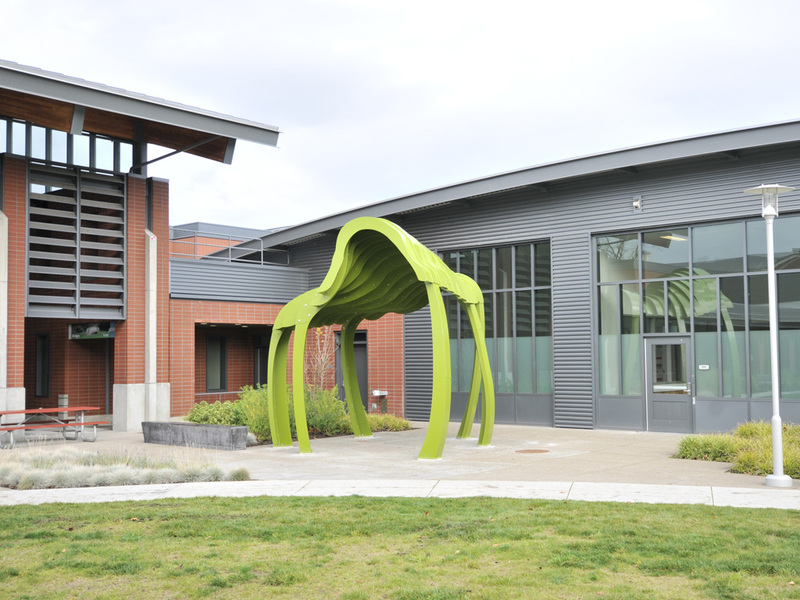 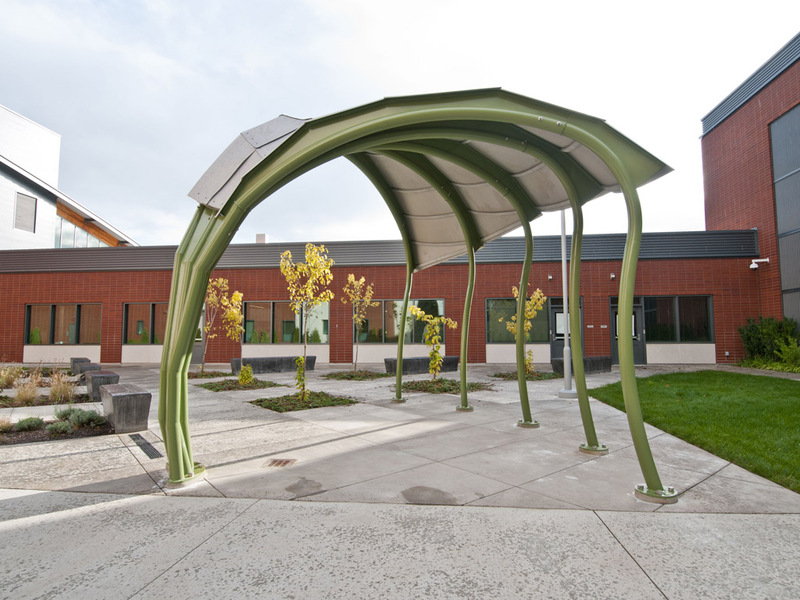 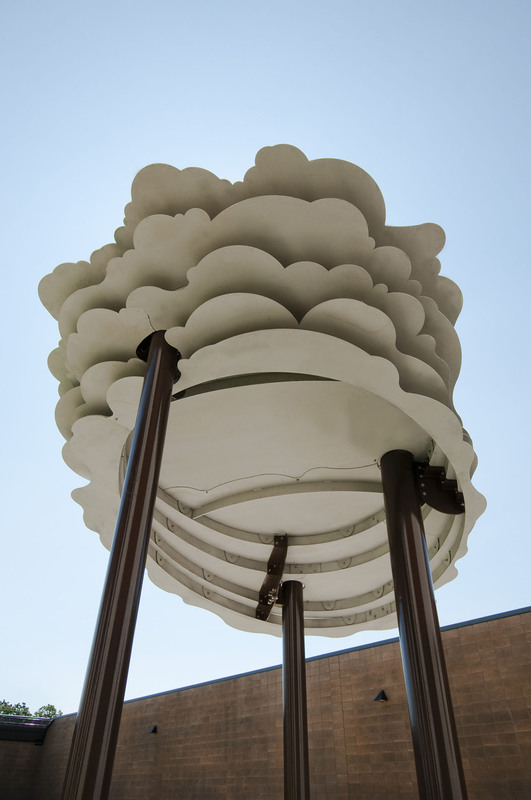 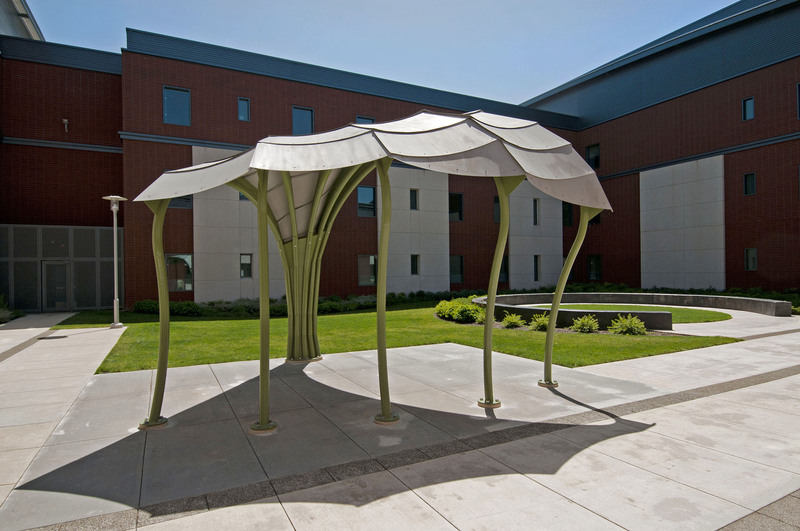 Materials: aluminum, stainless, steel with 3-part paint system, cast in-place concrete. 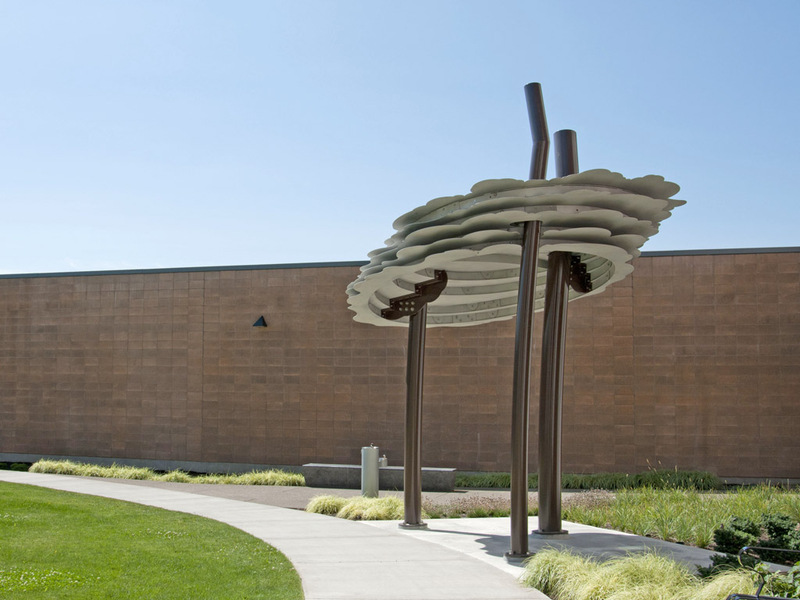 This series maintains a strong reference to the “emotional grounding” offered by nature and landscape. 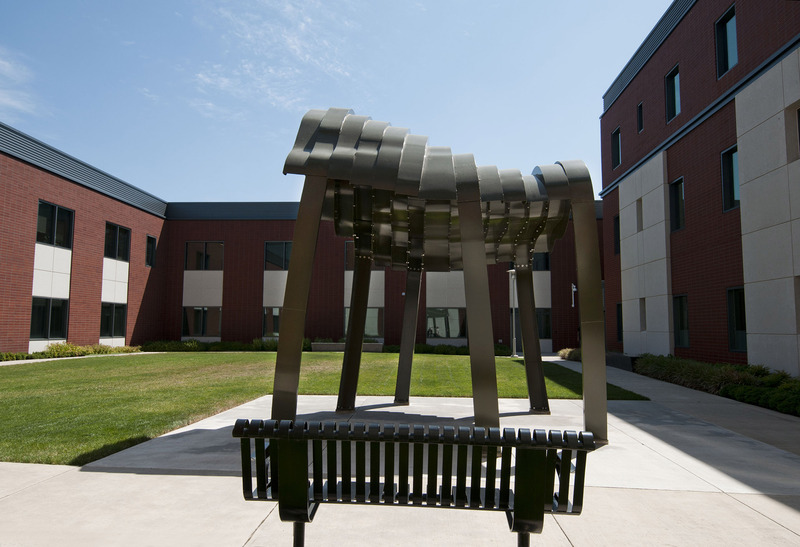 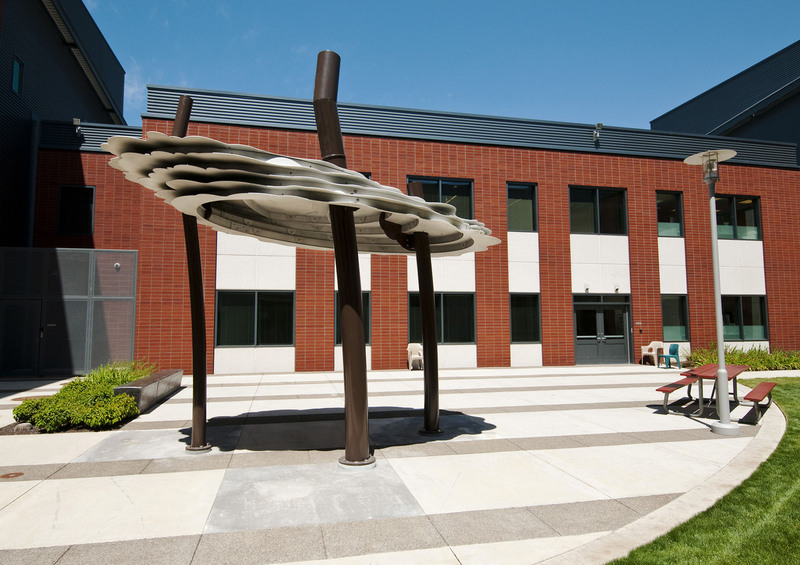 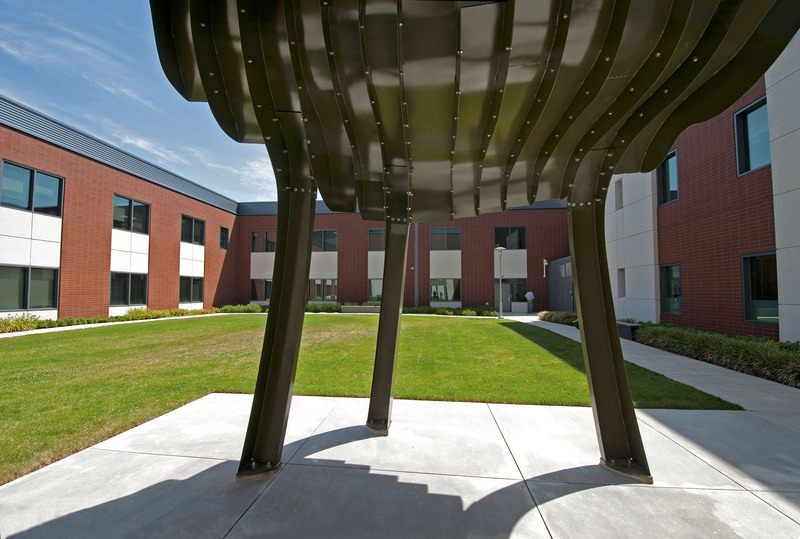 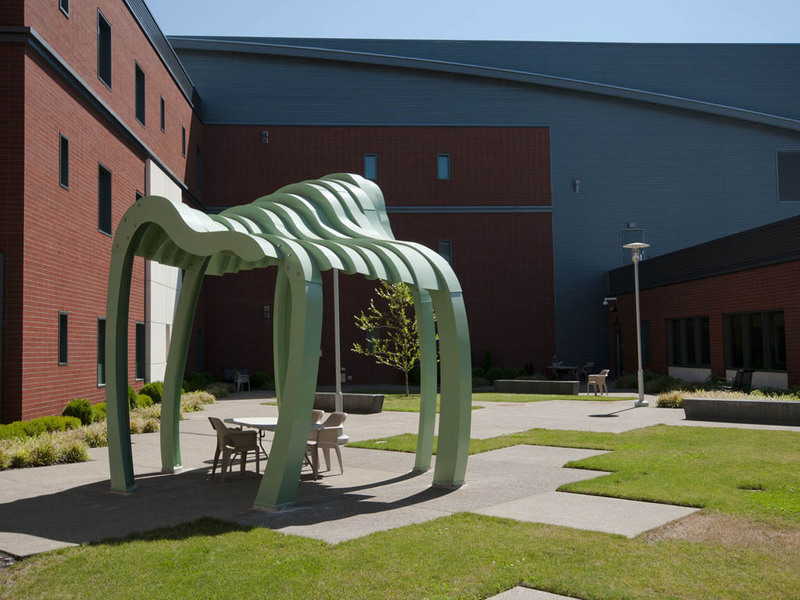 Located within the psychiatric hospitals enclosed courtyards, the sculptures engage the psychological need for both fixed landmarks and cycles of change. 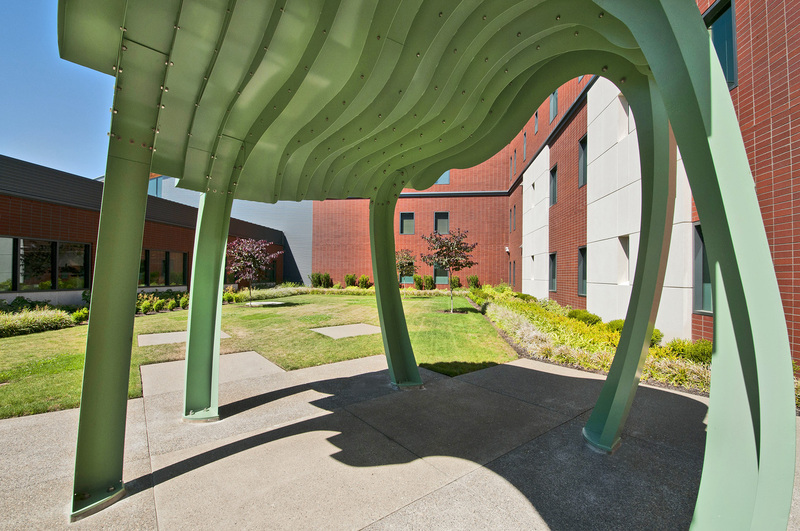 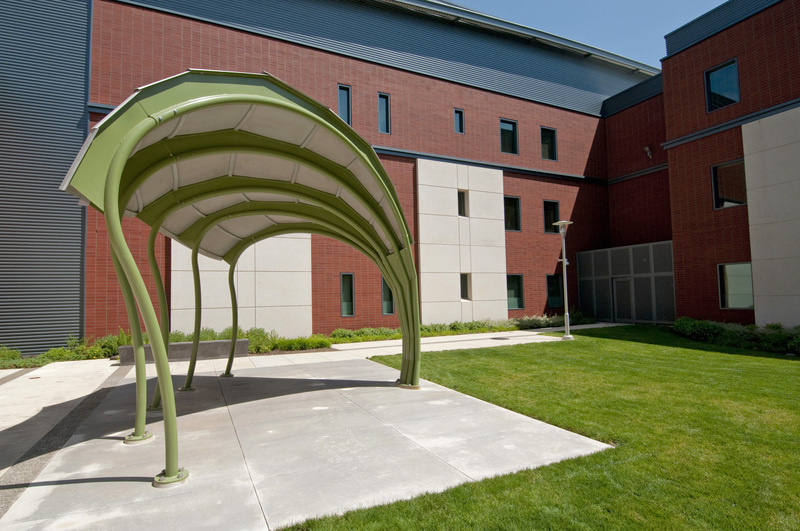 Their forms echo the animate nature of earth, sky and vegetation while creating memorable sheltering destinations within the expansive hospital complex. 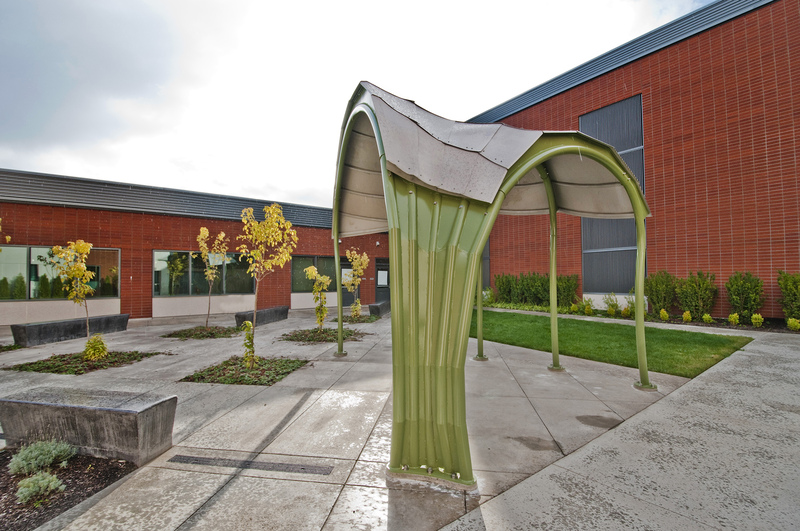 Earth, TreeLeaf, and SkyTree provide rain and sun protection under their body-embracing forms. 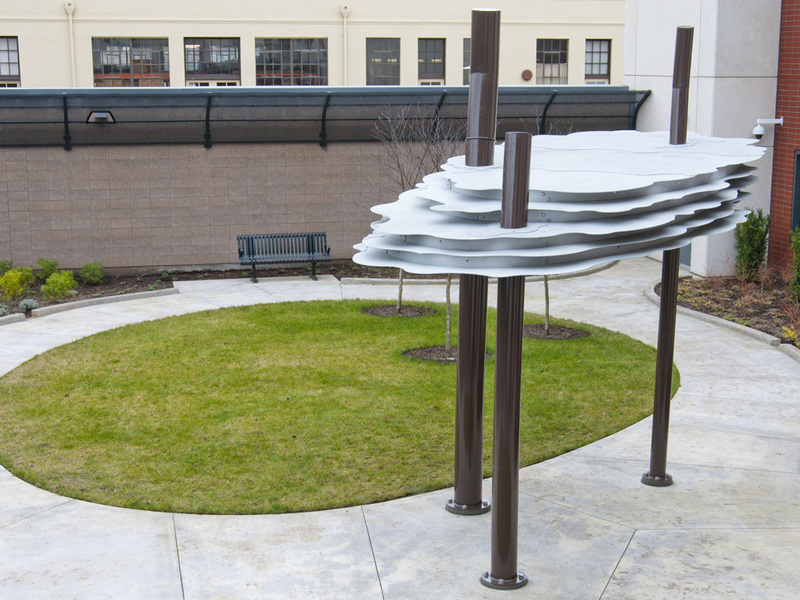 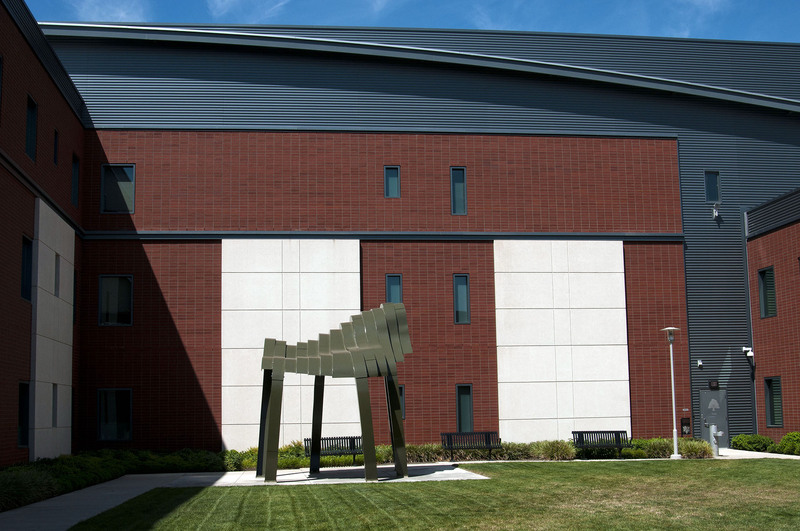 Seen from upper patient room windows, the sculptures repetitive flowing forms provide a meditative respite.